Do Chat Up Lines Work? Society keeps throwing themselves in a loop of media lies. The best chat up lines ever aren’t the same as you see in the movies. In the movies, you can see a random idiot stumble to get through lines and end up sleeping with the leading lady. The leading lady would NEVER sleep with the dopey, fat, funny guy. It just doesn’t happen a lot. 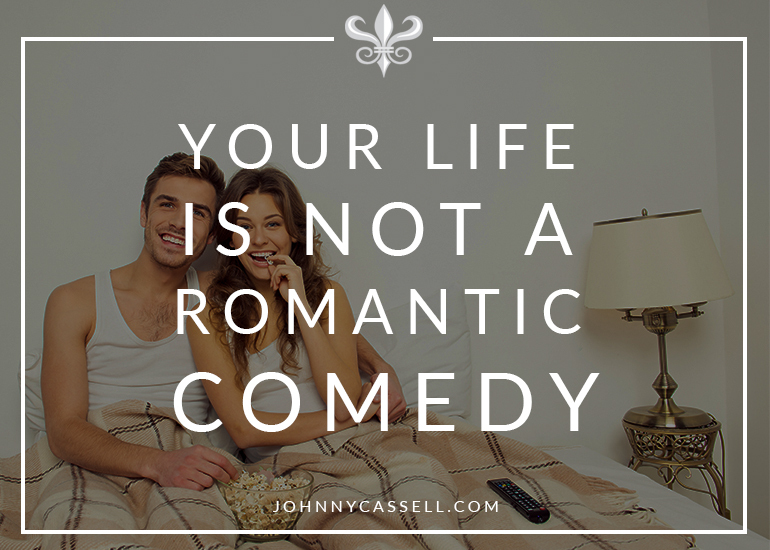 Stop thinking that your life is a movie, and that there’s a perfect “10” just waiting for some nerdy guy to stutter through some lines to have wild romps in the bedroom. Your life is not a movie, so don’t think that way. Don’t push it. You need to be realistic. And reality is not anything like that funny romance that you are holding on to. In real life, the underdog doesn’t get the super model, you’re going to need to step up to something new. Men fear talking to women. Even the most confident man in the world has a moment of fear that they step on to get out the right words. You have nothing to lose at all. Honestly, you have nothing to lose. Sure, you may get rejected, but you’re still awesome! The moment you believe you’re greater than the rejection and fear you may have in talking to a woman, you will end up getting a greater response. As you learn chat up lines to use, make sure that you start to showcase genuine interest in what women say, and how they respond. Mannerisms, replies, short answers, what they’re drinking, eating, and how they move their hands, etc. notice them, and start making mental notes. As you start to learn lines, you need to look into the eyes of women across from you. Whether you’re in a bar, or you’re at a party with lots of single women, look into the eyes of a woman. If you get nervous, bite your tongue, cheek, do something that stomps out that fear. If you still can’t get over this, look into a woman’s eye and just look past her, look through the eye color, the white of her eyes, and just deliver your line with clarity, and seriousness. You are going to most likely get a chuckle, a smile, and she’ll either look away, and you’ve won. Lock eyes, blink, and just hold your nervousness. There are a lot of adages that you can take with you in regards to learning the best chat up lines. The best is of course practice. If you’re not keen on talking to women, or you just aren’t nailing the lines. Start practicing in front of a mirror. Go to a mirror and just start focusing on how you’re saying things. Use inflections in your voice. Focus on how you enunciate words. Change your stance, practice holding cups, and so much more. Think about scenarios that you may end up having to deal with. The more you go through the motions, and utter the chat up lines you want to use, the better you’ll be in the field. Practice does make perfect, but if nothing else, it breeds confidence over time. When this all becomes second nature, no woman will make you nervous, and you’ll end up with a beautiful woman on your arm, whenever you want.